Bharti Airtel has launched its Payments Bank recently. If you want to register yourself for Airtel’s Payments Bank, you do not need to go anywhere or submit any kind of documents. It is a paperless approach, using Aadhaar-based e-KYC. You can become a member of the Payments Bank within a few minutes with just a few clicks. Payments Banks are considered as scheduled banks under the section 42 (6) (a) of the Reserve Bank of India Act, 1934. Anybody who is an Airtel user, having an Aadhaar card, PAN card and carrying a smartphone with Internet connectivity can become a member of Airtel’s Payments Bank and earn an interest of 7.25% p.a by depositing a maximum of Rs.1 lakh. 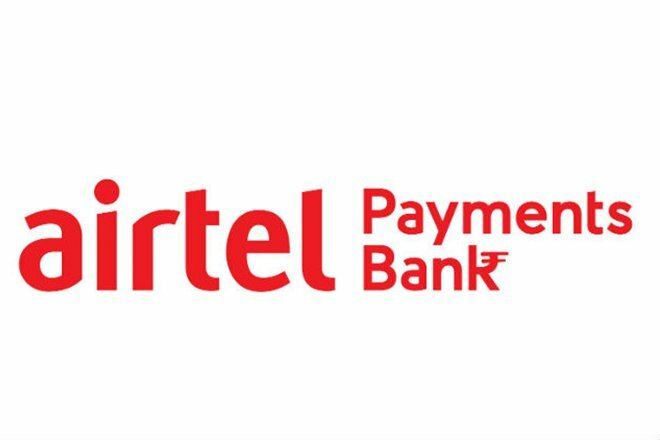 WHAT IS AIRTEL PAYMENTS BANK ? Airtel Payments Bank is fully committed to the government’s vision of financial inclusion and banking for all. We will play an important role in taking banking services to the last mile in a quick and efficient manner to benefit millions of unbanked citizens of this country. WHAT IS THE PROCESS TO OPEN AIRTEL PAYMENTS BANK ACCOUNT? You can open an account by visiting a designated Airtel retail outlet in your neighbourhoodalong with your Aadhaar number. The account will be opened through a paperless process within minutes through Aadhaar-based paperless electronic know-your-customer process. IS THERE A DEBIT/CREDIT CARD FACILITY? Airtel payments bank initially won’t offer an ATM card facility. 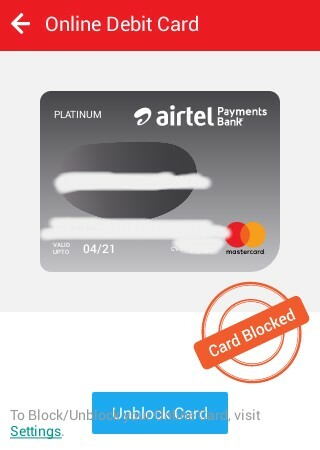 Airtel payments bank only provide "online debit card" for online payments. You can deposit and withdraw cash at any of the designated Airtel retail outlets, which will function as Airtel banking points. Since it is a paperless bank, you can check your account balance and access other services using the Airtel Money app, USSD or IVR over your mobile phone. How do I transfer money to a friend or family? You can access money transfer services on your Airtel Money app or through USSD by dialling *400#. Money transfers made from one Airtel number to another within the bank will be free. What is the interest rate that I get for depositing money in my Airtel payment bank account? The company has said that it intends to give an interest rate of 7.25% a year on deposits in savings accounts.